We can't own people. But what about electronic people? The report does not advocate immediate legislative action, though. Instead, it proposes that legislation be updated if robots become more complex; if and when they develop more behavioral sophistication. If this occurs, one recommendation is to reduce the liability of “creators” proportional to the autonomy of the robot, and that a compulsory “no-fault” liability insurance could cover the shortfall. But why go so far as to create a new category of “electronic persons”? After all, computers still have a long way to go before they match human intelligence if they ever do. Robots may eventually match human cognitive abilities, and they are becoming increasingly human-like, including the ability to “feel” pain. The EU report is among the first to formally consider these issues, but other countries are also engaging. Peking University’s Yueh-Hsuan Weng writes that Japan and South Korea expect us to live in a human-robot coexistence by 2030. Japan’s Ministry of Economy, Trade, and Industry has created a series of robot guidelines addressing business and safety issues for next generation robots. If we did give robots some kind of legal status, what would it be? If they behaved like humans, we could treat them like legal subjects rather than legal objects, or at least something in between. Legal subjects have rights and duties, and this gives them legal “personhood”. They do not have to be physical persons; a corporation is not a physical person but is recognized as a legal subject. Legal objects, on the other hand, do not have rights or duties although they may have economic value. Assigning rights and duties to an inanimate object or software program independent of their creators may seem strange. However, with corporations, we already see extensive rights and obligations given to fictitious legal entities. The European Parliament will vote on the resolution this month. Regardless of the result, reconsidering robots and the law is inevitable and will require complex legal, computer science, and insurance research. 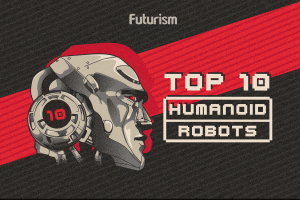 How Close Are We to 3D Printing Humanoid Robots?